Children may start learning to dance with us from the age of 3 either as part of a Toddler Dance class or via private dancing lessons. For this age group, the emphasis is on fun and imagination, with basic technique included from the very first lesson. 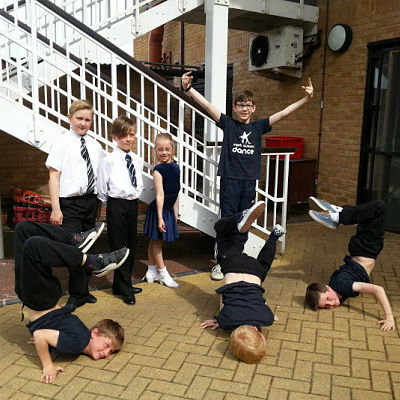 At East Sussex Dance we specialise in teaching children's Ballroom & Latin, which, since BBC's "Strictly Come Dancing", has become remarkably popular with children and teenagers. Our Ballroom and Latin classes cover dances such as the Waltz, Cha Cha and Jive, progressing onto the Samba and Paso Doble. The children are encouraged to dance together wherever possible, especially in fun dances such as Salsa, Mambo, Rock n Roll and American Smooth. These modern dance styles are usually taught side by side in our children's classes. After a full warm-up, Street, Disco and Commercial dance routines are taught using familiar chart music. Our Contemporary dance classes follow the new ISTD syllabi devised by acclaimed dancer, choreographer and former Artistic Director of Rambert school Dr Ross McKim. The classes begin with a warm up, technical, strengthening and limbering exercises, moving on to travelling sequences and choreography. Although the class may be accessed on a variety of levels, the work is quite challenging so some previous dance experience (which could be in other dance styles) is assumed. Many children and teenagers (especially those approaching dance GCSE and A-Level) find that some Ballet training would be to their advantage, but struggle to find a class catering for their age group. Open Ballet classes cater for students of varying experience, offering a good technical foundation without being tied to syllabus work. For a full list of dance classes, times and locations visit our weekly schedule. Here are this term's class fees.